Since the 1970's, taekwondo has undergone a significant evolution in both form and style. Perhaps the most striking change has been the development and refinement of taekwondo's devastating spinning kicks. Twenty years ago, spinning kicks were considered too risky for all but the most experienced competitors. It was the era of power taekwondo when knockouts were frequent and the roundhouse and side kicks ruled. Spinning kicks were too slow and too obvious to penetrate the defenses of a skilled fighter. However, with the advent of modern footwork and the refinement of strategic maneuvers, spinning kicks have become the most powerful and dangerous kicks in the taekwondo competitor's arsenal. 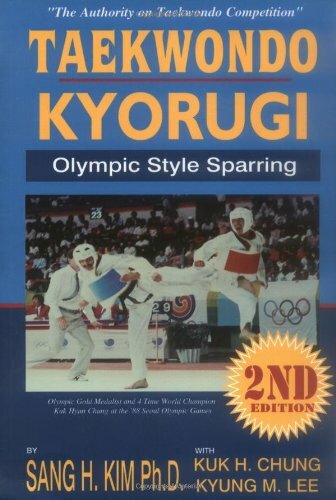 The popularity and effectiveness of the spinning kick became possible with the introduction of the upright fighting stance and the development of intricate footwork. In the early days of taekwondo competition, competitors favored a low, traditional stance. While a low stance is ideal for generating power in linear kicks, it is a hindrance to any type of spinning kick. A spinning kick must be initiated quickly, without changing the height or position of the head. The lower the stance, the more difficult this is to achieve. Spinning kicks also require the competitor to close the distance between himself and his opponent before launching the kick. If you attempt a spinning kick from neutral distance (where neither you nor your opponent can reach each other) you will not only fall short of the target, you will leave yourself open to an easy counterattack. To attack successfully, you must take at least a half step closer to your opponent, filling any space that your opponent might use to counterattack. To counterattack with a spinning kick, you must have extremely good reflexes not to allow your opponent to cut off your kick before you complete it. The introduction of complex footwork in the early 1980's allowed competitors to attack and counterattack successfully with spinning kicks. In addition to these two major factors, several other changes have contributed to the popularization of the spin kick. In the last ten years, protection gear, particularly chest gear, has become lighter and less restrictive, making it easier to rotate the body quickly and through a greater range of motion. Combination kicks have become widely used, allowing competitors to back up the opponent with simple kicks and finish with a spinning kick, often resulting in a knockout. The emphasis in competition has shifted from sheer muscle power to kinetic efficiency, leading to the development of techniques such as the spinning whip kick, that take advantage of the laws of kinetics and physics. The globalization of taekwondo has lead to the creative development of taekwondo movements by top class competitors of varied backgrounds in many different countries. Taekwondo has become more systematized through the scientific study of individual techniques and movements, leading to a more refined style of kicking. Competition has been opened to women, creating an increased emphasis on flexibility and speed and decreased emphasis on power in techniques used in women's matches. More weight divisions have been introduced (currently eight divisions as compared to the divisions of only light and heavy weight in the 1960's) encouraging smaller competitors to develop speedier techniques that are more appropriate for their body type. The back kick that we practice today has its origins in the spinning side kick. One of the first spinning kicks to be introduced in competition, the spinning side kick is performed exactly as it sounds. From a low side stance, turn 180° to your rear side and chamber your leg for a side kick. Once chambered, execute a middle or high section side kick and return to fighting stance. Although the spinning side kick is simple to execute and quite powerful, it is vulnerable to counterattacks to the head or body prior to and immediately following the turning of the body. To eliminate this weakness, the spinning side kick was transformed into the spinning back kick and eventually, the even more efficient back kick. The difference between the three lies in the pivoting of the standing foot, the chambering position of the leg, the rotation of the hips, and the angle of the upper body. In the spinning side kick, the leg is chambered high and the hips are rotated 180°, putting the upper body within easy reach of the opponent. In the spinning back kick, the leg is chambered low, tucked in under the hips with the hips rotating only a little more than 90°. In the back kick, the leg is chambered the same as for the spinning back kick, but the hips are rotated less than 90° and the front of the body is concealed during and after execution. he back kick and spinning back kick offer many advantages over the spinning side kick without sacrificing power or simplicity. The spinning back kick, used most commonly as a follow-up attack in a combination, is safer because it exposes the upper body and head to the opponent less than the spinning side kick. In a properly executed spinning back kick, your back is turned to the opponent and your upper body out of counterattacking range. Timing and accuracy are essential. If you kick too late or too early and miss your intended target, your opponent may take advantage of your awkward body position to counter with a roundhouse kick to your face or kidney, knocking you down. If, however, you time your kick precisely, the spinning back kick is a devastatingly powerful kick. The back kick, on the other hand, is even more powerful and faster than either of the other kicks. Because you don't actually spin your body, you cut the kicking time almost in half. To execute a back kick, slightly rotate your hips and pivot your front foot while quickly shooting your rear leg out under you to the target. The chambering position for the back kick is almost nonexistent because the leg moves so quickly to its target. In attacking, your entire body weight must be shifted into the opponent's body with your upper torso perpendicular to the ground when the kick reaches its full extension. When used for close range counterattacking, the back kick is an excellent tool for scoring against an aggressive opponent. To launch an effective counterattack against a roundhouse kick, for example, your back kick should be short, with less commitment of your body weight and more emphasis on speedy execution and retraction. Perhaps one of the newest and most spectacular kicks in taekwondo is the spinning whip kick. Although the exact development of the spinning whip kick is not known, it's roots can be traced to three kicks: the spinning heel, spinning hook and spinning crescent kicks. The spinning heel kick was very popular in the earliest days of competition as a power attack. A spinning heel kick is performed from a low side stance. Beginning with a pivot of the hips, the rear leg is swung around the body between waist and shoulder height, striking the opponent's body with the back of the heel. When done correctly, the spinning heel kick is a powerful kick. However, it is also cumbersome, since the kicking leg remains straight from beginning to end. An improvement on the spinning heel kick, soon came in the form of the spinning hook kick. A faster and more deceptive kick, the spinning hook kick eliminated the weakness of the spinning heel kick without sacrificing much in the way of power. A spinning hook kick is performed from a standard fighting stance and begins with a pivot and leg chamber similar to the spinning side kick. From the chamber position, the kicking leg swings toward the target and uses the knee to hook across the target on impact. Because the leg is chambered high, the spinning hook kick can be used to effectively attack the head, an almost impossible attack with the spinning heel kick. Another popular kick from the 1970's that is rarely seen in full contact competition any more is the spinning crescent kick. Because it was the only spinning kick that could be used effectively at close range, the spinning crescent kick often allowed for a surprise attack at the end of a combination or a close range counterattack to the head. The spinning crescent kick is ideal for close range attacking because, unlike any other spinning kick, the body is kept upright and compact throughout the kick. This turned out to be both a strength and a weakness in competition. To put power into the crescent kick, you must fully rotate your upper body, opening your midsection and face to your opponent as the kick reaches the outermost part of its arc shaped path. At this moment, you become vulnerable to a potential knockout blow to the fully exposed front of your head or body. As fighters learned to read and counter the spinning crescent kick, it fell out of favor in full contact sparring. It is indeed, however, an asset to the art that deserves further study and preservation as part of taekwondo's rich evolution. A primary reason each of the above kicks did not last long in the competitive arena is due to their vulnerability to counterattacks. 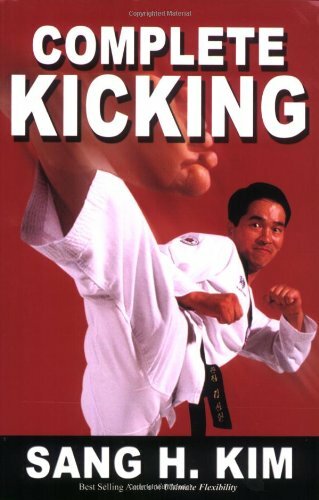 Each kick left the kicker open to attack during or just after the kick, a major problem in an art like taekwondo that has elevated the counterattack to a science. Competitors searched and experimented further, looking for the kick that would be least vulnerable to a counter, while still allowing a quick, powerful attack to the head - a knockout kick. And they found it in the spinning whip kick. A kick so new, that many taekwondo students still call it a spinning hook kick. Many people will say that this sounds identical to the spinning hook kick but there are a few key differences. The first is that the spinning whip kick does not use a turn of the body to chamber the leg, but instead coils the body prior to kicking. When you pivot your front leg, your body should essentially remain behind and coil, like a golfer preparing to swing. This creates what is scientifically termed potential energy, a reserve of energy ready to be used. When you shoot your leg out to kick, your body's uncoiling force, not your leg's power, delivers the blow. This brings us to another essential difference between the two kicks. The spinning whip kick uses the power of the entire body, not the hooking force of the leg, to create power. By turning the body into an uncoiling whip (hence the name of the kick), it allows even the smallest competitors to deliver knockout blows. A final difference between the kicks lies in the positioning of the upper body during the kick. When performing a spinning hook kick, the body moves forward toward the target as the turn is made (before kicking) to chamber the leg high enough. The spinning whip kick coils the body in place instead, creating a static axis around which the leg moves. A static axis provides the kicker with many benefits including better balance, more power using less muscle force, more speed, and quicker response time. It also means that the kick can be executed from a very short distance, allowing counterattacks to the head while your opponent is moving at you. The spinning whip kick is often modified in competition, with the kicker dropping his head out of range of a counterattack while he is kicking. This is an advanced strategy that should be practiced only after you understand the dynamics of the a correctly executed spinning whip kick. If you try dropping your head without understanding the purpose of this movement, you will find it difficult to maintain your balance, speed and power throughout the kick. Yet the spinning whip kick is very different from the older, less flexible spinning hook kick. The spinning whip kick combines the power of the spinning heel kick, the deception of the spinning hook kick and the close range attacking power of the spinning crescent kick. To perform a spinning whip kick, begin from a short fighting stance (feet about one shoulder width apart) with your head and upper body aligned. Pivot your front foot in the direction of your target until your heel is pointing directly at the target. Bring the foot of your kicking leg up to your other knee to chamber the kick. Once chambered, shoot your kicking leg out toward the target, with your leg reaching its full extension about one foot to the side of the target. When your leg is fully extended, whip it across the target and return to your original fighting stance. The final spinning kick to be developed in the past two decades is the turn kick. Often called a turning roundhouse kick, it is the most recent major technical innovation in the world of taekwondo competition. Prior to the mid-1980's the turn kick was unheard of outside of Korea. With the immigration of a new generation of Korean competitors and instructors to the U.S. and Europe, the turn kick gained widespread popularity in less than five years. How the turn kick was developed is the subject of much speculation. It is widely accepted that the turn kick was born out of necessity. A competitor saw an opportunity, improvised and a new technique was conceived. Imagine this scene from an international level match, perhaps the world championships: As a competitor is attacking with a right leg back kick, he begins to turn around to execute the kick and realizes that his opponent is stepping back. Knowing his opponent is now too far away, he puts his right leg down in front of himself and throws a left leg roundhouse kick. What transpires is a rudimentary version of a turn kick. When this competitor realizes how effective his new combination of footwork (now known as the turn step) and kicking is, he practices and refines it. Once he begins using it in competition effectively, others imitate him and soon it becomes a new trend in competition. The turn kick has two primary uses in taekwondo competition: as part of a combination and as a counterattack. When used as part of a combination, it is performed conventionally, by beginning with a turn step using the rear leg and following with a roundhouse kick using what was originally the front leg (which becomes the back leg when the turn step is completed). The turn kick normally covers the distance of the roundhouse kick plus one full step, making it an ideal kick for chasing a retreating opponent. When used as a counterattack, the turn kick is performed in place or falling backward away from the advancing opponent. To accomplish this, the turn step becomes more of a hop that is executed in place or while the body is retreating. As the kick is performed, the hopping leg is drawn back to its original position, instead of being placed forward as in the offensive turn kick. While the offensive turn kick can be used by any student above the intermediate level, the counter turn kick is only for the very advanced competitor.